Take home delicious gourmet soup from Frontier Soups. 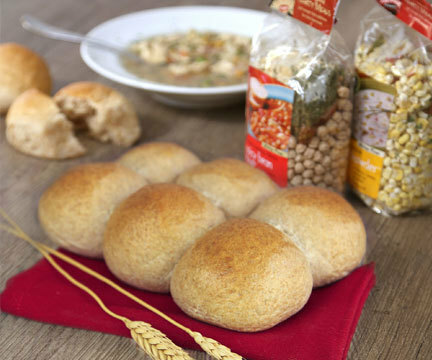 Who can beat the winning combination of soup and fresh made rolls? Make warming up completely satisfying, full of flavor and nutrition. Come and get your gourmet soup mix today and with the coupon below, get a six-pack of rolls FREE!